Taken at my pond just this morning. Poetry in motion, Dan! Excellent shot showing all his beautiful colours. Very beautiful image. Great color in the soft light. What a beauty! Nice to see them in flight. Outstanding color, detail, wing position and in-flight capture. 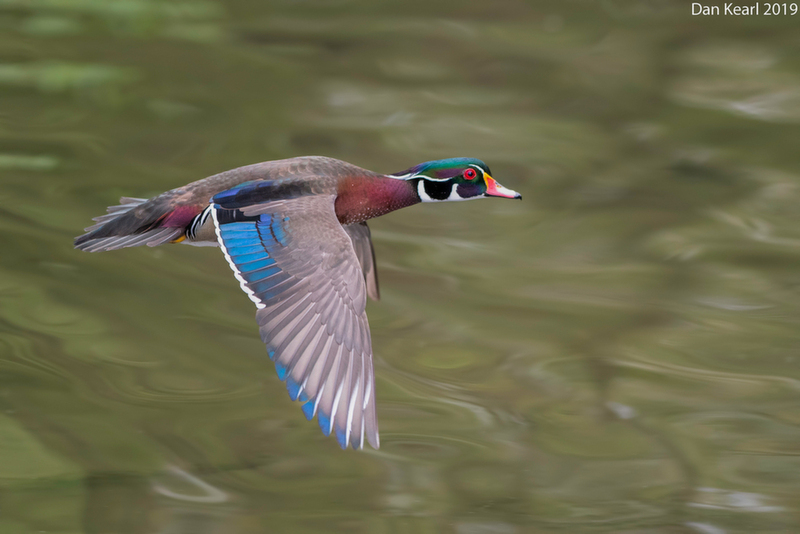 Perfect flight shot of this colorful duck, Dan.